No need for a steady hand for this manicure which can impossibly go wrong. After applying a base color, dip a very thin straw into a different color of nail polish for the splatters. Aim for your nails and blow through the straw! 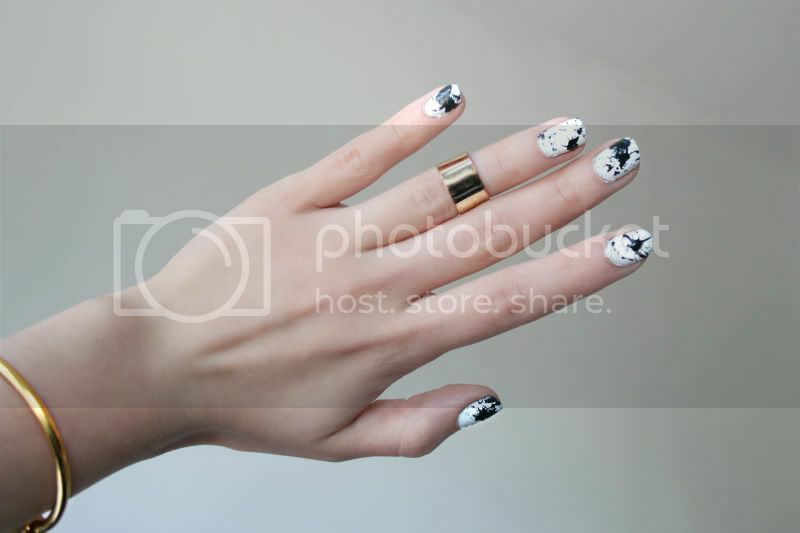 Afterwards, remove the splatterings around your nails with a q-tip and some nail polish remover and you're done! Amazing! I'm trying it on! Wow thats amazing :) !! i really love everything you do and your blog... youre awsome! i really want to do the tranparent jewlery (the cuffs and the earings and the belt..), but my problem is that its really hard for me to get perspex where i live. do you have idea for another material i can use? (kind of flexible plastic or something like that)? That's so sweet! perspex, lucite, plexiglass... it´s all basically the same. Maybe you can order it somwhere online? Or maybe your local hardware store can order it for you? (so did mine) You'll need the cheapest kind; only 2mm thickness. hope this helped! This is beautiful. Your creativity never ceases to amaze me. I really want to give this a try. Gahh you've done it again! Great idea. That is a great idea for people with unsteady hands. What's also great is that it will allow me to go up to people and ask them what they see. So I can pretend to be their psychologist. 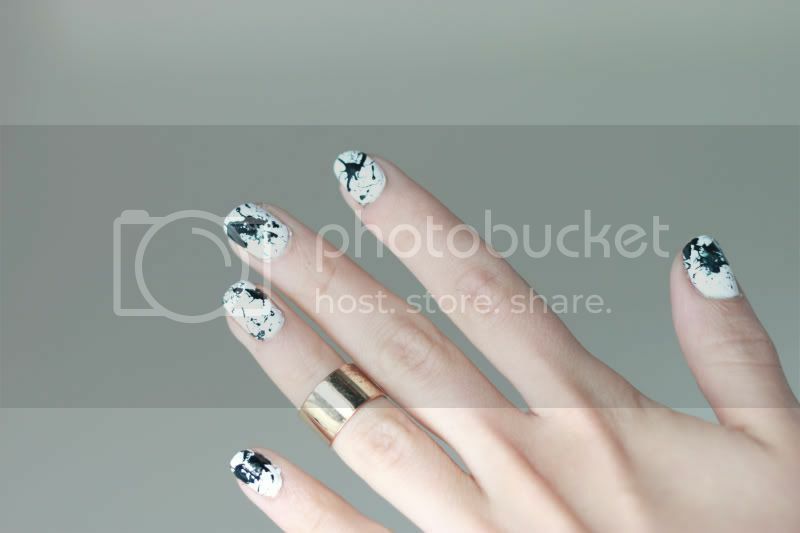 Very beautiful photos... love the nail polish... looks great! Yes i'm going to try this! p.s. just discovered your amazing blog...and i freaking love it! I love your blog so much you have been a great inspiration www.much-carattere.blogspot.com you should come in and check it out and tell me what you think. It looks so amazing and I try it, but I don't know where I can buy so thin straws. Where have you buy these thin straws? time to be happy. I've read this post and if I could I want to suggest you few interesting things or advice. Maybe you could write next articles referring to this article. I wish to read more things about it!